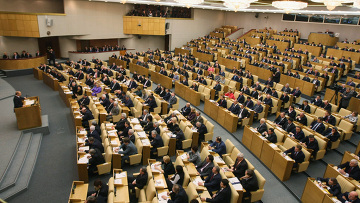 Russian lower house to debate National Payment System Bill | Russian Legal Information Agency (RAPSI). MOSCOW, May 4 – RAPSI. State Duma Deputy and Russian Association of Regional Banks head Anatoly Aksakov said the lower house of parliament will soon hold the second reading of the National Payment System Bill. The State Duma passed the bill in the first reading. It’s now being revised for the second reading. According to the amendments, all payments made in Russia will be processed using only Russian payment infrastructure. It will be forbidden to share payment information with other countries. The revised bill has stirred heated debate among international payment systems, as they will have to build a new processing center in Russia and incur extra costs, and among electronic card users. Key market players say Russia aims to create a domestic infrastructure similar to those already existing in the rest of the world. Ilya Ryabov, the director of Master Card Russia, said numerous Russian banks will suffer from the law, as their processing centers are situated outside the country.